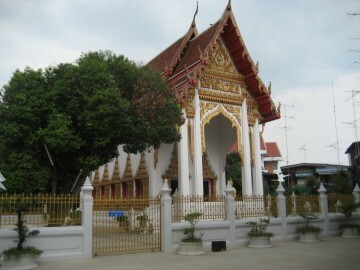 image of Wat Khwang, a former monastery north of this temple. 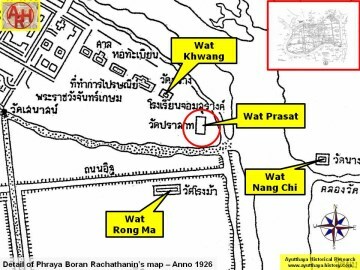 Kasem Palace or Front Palace had a length of 50 Sen (1) or approximately 2000 m.
Boran Rachathanin's map of 1926. 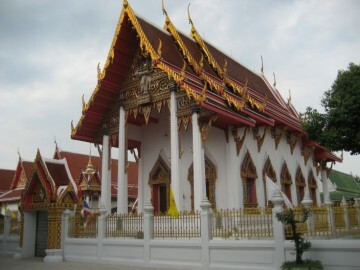 At present the temple is still active and can be accessed through U-Thong Rd. 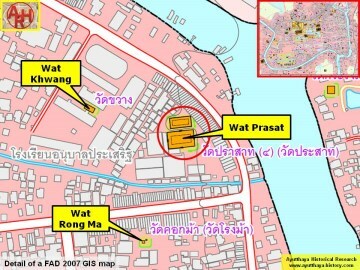 Wat Prasat is located in Geo. 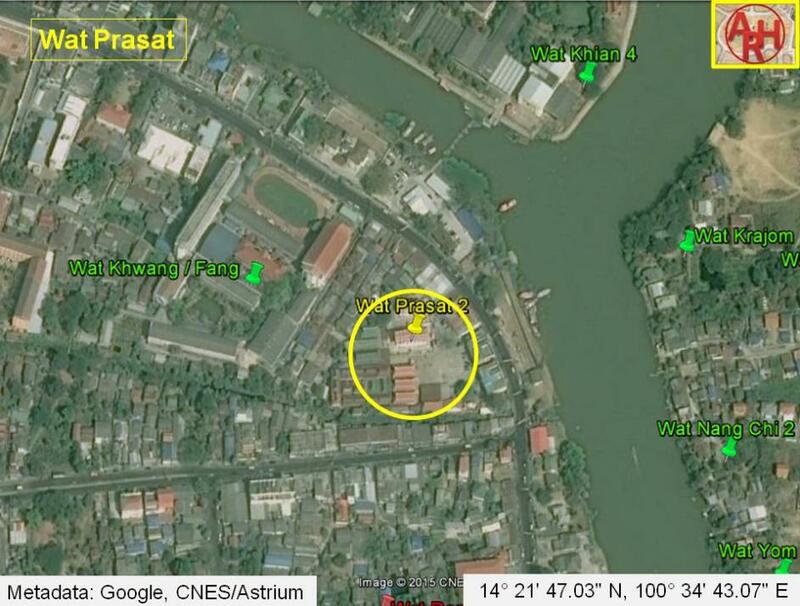 Coord. 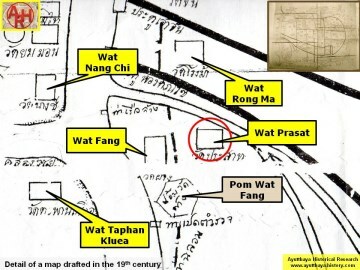 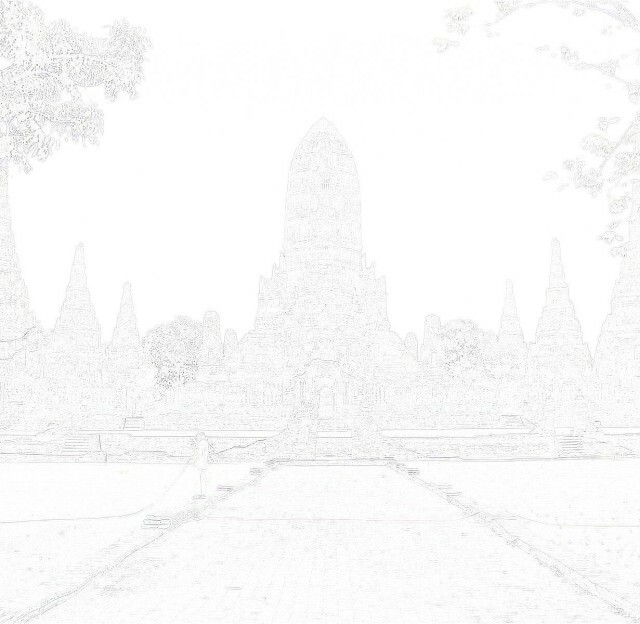 : 14° 21' 47.03" N, 100° 34' 43.07" E.
Description of Ayutthaya - Journal of the Siam Society, Vol 102 (2014) - page 205.